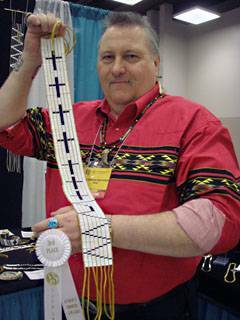 This one of a kind necklace is made by Native American Artist Don "Standing Bear" Forest. 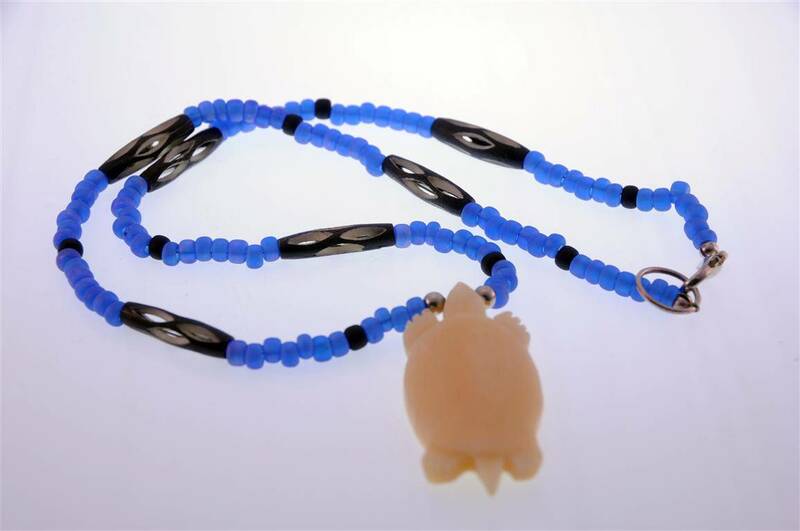 The necklace is made up of glass and nickel beads with moose bone hairpipes. The hand carved turtle is carved out of moose bone by Don. This is a one of a kind piece that would be suitable for either a man or woman. This necklace is approximately 23 inches in length.